Holding objects while swimming slows you down. There's a storage compartment (footlocker) in the lifepod. Floating lockers can be dropped inside the lifepod instead of in the water, however they will cause it to list to the side you drop it on. You could try balancing it out with another floating locker on the other side (or just ignore the list). There's a Medkit Fabricator in the lifepod - check it regularly and toss extras in storage (keep, say, 1-2 on you and 3-4 in Storage). If your food and water gauges are near full (I think it's around 80-85% and above?) your health will slowly regenerate over time, while the food and water remain above that amount (if anyone knows the exact amount, please post). Your O2 supply is your biggest weak spot early on. Play it safe unless you're REALLY sure know what you're doing. Use your ears. If you have decent headphones, use them to play this game. Each predator makes a different and very distinct sound, and they often cry out before attacking. Once you know this, you can get a warning when there's a predator right behind you. Pipes can get you past depth limitations from the start, so give 'em a try if you want to go deeper. Start with either a Base-attached (using a powered base) or Surface Air Pump. Don't be afraid to leave your vessel and swim past its depth limits to reach something within sight. Most aggressive lifeforms will back off if you give them a solid hit with the Survival Knife. Stalkers like metal. When they pick it up or drop it, sometimes they drop teeth. If you scan them, you'll learn other interesting things as well (try equipping a Peeper and feeding them, but bring extra Peepers). Remember, as mentioned previously, strafe (move to the side) while avoiding / attacking. If you're using a Stasis Rifle anywhere near a solid surface (and if you aren't, you should be), don't bother aiming at your target. Shoot the nearest surface, swim into the stasis bubble, and let the target come to you. Much easier, though don't skip on practice in safe waters first. Moving fast without ever staying still in one place seems to reduce the ability of creatures to get a good target on you. This often allows you to swim or drive through creature swarms without repercussions. When swimming through groups of predators you should either use the Seaglide, or Ultraglide Fins while holding nothing in your hands to slow you down. Don't despair if you've built your base above a nest of Crashfish. Sure, they blast holes in your walls, but you can pay them back by chopping down their Sulphur Plant homes with your knife. This should stop them from re-spawning. If you ram a Spadefish with a Seamoth, the Seamoth will lose about 7% HP (Spadefish are heavy; read the encyclopedia entry on them). If you can hear a Reaper, it knows you're there. Reapers will seemingly go to near extreme lengths to get you. Their aggro range is smaller than one might think considering the difficulty they pose, however, that is because they are so fast that it can be extremely hard to get out of aggro range. (This tip is subject to change as they tweak balance, of course). When you hear a Reaper, try hugging the terrain (floor / walls) -- this can make it a bit harder for them to grab you (be prepared to scoot sideways if they head straight for you, of course!). If you're plucked from the ocean floor by a Reaper whilst plodding about in your PRAWN suit, do what anyone does when they are being assaulted by a stranger: try punching (the drill works too) it the face (repeatedly) until he lets go of you. Mesmers never attack without hypnotizing first, so you don't have to watch your back around them. Mesmers spawn in the kelp forest occasionally. Dealing with Mesmers: Although you can't turn away from them once hypnotized, you can still act. A propulsion cannon will break their hold over you quite easily. A knife is riskier but you can avoid taking damage by stabbing at the right moment. A good strategy to deal with Warpers pulling you out of your vehicle is to swim up (space bar or LB) immediately. Warpers cannot follow well vertically, and it's easier to find your vehicle by looking down than by looking around you. Evading Warpers is done best by continually circling and strafing (side-stepping) and never swimming in straight lines. As previously noted, it's best to stay above them. If you get warped, then you should immediately swim forward strafing in circles to avoid the Warper catching you, as most time you don't see him and shouldn't stand still to turn around. The Warper can sometimes be more hazardous than the Sea Dragon - especially in the dark. Meeting Warpers in a PRAWN suit can be extremely hazardous. The PRAWN isn't made to circle and strafe around Warpers and usually you have limited jet time and can't wait for the jets to recharge while Warpers are around. Listening to Warper teleports is important and should be met with immediate changes in course. It's best in dark territory to first explore with a Seamoth or by diving to locate the Warper spawn points, before travelling there with the PRAWN. Swimming through Leviathan infested waters is possible with the Reinforced Diving suit at this time of writing as the Leviathans death grip fails in this case (if the devs don't change that). As Leviathans need time to turn for a second attack and you get 2 chances, you can even heal yourself with kits and thus swim through a Leviathan's territory with impunity. Other than that, a Seaglide is a fast tool to get past a Leviathan if you have no vehicle. Even with a reinforced dive suit the Sea Dragon bite is a one-hit kill. But not so for claw attacks. So it's better to get hit by its claws, as the Sea Dragon will need another attack run afterwards to finish you off, giving you time to evade or use a medkit. Thus, it's better to never turn your back to run from a Sea Dragon, as this leads to a death bite from behind in almost all cases. Swimming directly to it and then into its claws has a very high chance of success for not getting eaten. So, don't panic or you're dead. If you swim and hear its roar, force yourself to turn around and face it. Food goes off rather quickly - cure it with salt to preserve it if you're not going to eat it soon. Also, live fish stay alive indefinitely in storage, apparently they are kept in some sort of stasis. Only cooked food or harvested plants / fruits / vegetables / samples spoil (although those are still good for growing new plants). You can find the food / water value of different items by hovering over it in your inventory. Reginalds are the best fish to eat, followed by Peepers. Marblemelons are the best plant (for both food, and a decent amount of water as well). [Energy] Also, when using things in the Bioreactor, in general, higher calorie count food has higher potential energy (will last longer) in the Bioreactor. But also, stuff like Creepvine Seed Clusters are good. You can eat fish raw if you have to, but it will lose some of its nutritional value, and actually costs you water instead of giving you a small amount. Probably to simulate you having gastrointestinal distress from it? EDIT: This game mechanic no longer applies: Eating too many of the same type of food at once causes you to vomit and lose food and water. At the current time, this is shown in game as "Blood loss detected". Upgrade your Survival Knife to a Thermoblade in the Item Modification Station as soon as you can, the Thermoblade cooks fish when you swipe them with it, so you can eat them on the go. Disinfected (chlorinated) water has more H2O (2 x 12oz) than Filtered (Bladderfish) water (1 x 6oz). To make it, you need Salt Deposits and Common Coral Samples, which you can cut out of the Giant Coral Tubes (not the Table Coral you use for Computer Chips). The Grav Trao is a good means of catching fish and gathering surrounding resources. Most consider the Propulsion Cannon to be far better... but most people have a handle on food by the time they have one of those. You can have the coffee vending machine make two cups (each +4) simultaneously by pressing on the right and on the left. This is easy to miss as there are no buttons displayed. Coffee automatically goes to your inventory upon completion if you stay in its general vicinity, ie roughly within earshot, otherwise they will disappear. So if you want to get a boost out of it, build a CVM in the middle of a work area where you can get some stuff done while waiting and ordering. Ditto for the vending machine, except that food's easier to manage than drinks and each snack is +3 food and -2 water. So it's less interesting. You must plant the Blood Oil or CreepVine Seed to get a fully formed Bloodvine or Creepvine plant. If you plant samples, they'll grow, but they won't produce seeds. However, seedless vines produce more Creepvine samples than vines with seeds (7 to 5? ), so if you're going for Fiber Mesh or food backup, seedless vines are better than ones with seeds for that purpose. Large resource deposits can only be mined by a PRAWN suit Drill Arm. Break any outcrops you find (you can always drop stuff you don't really want if you find something you need more before dropping everything off in your base). Get a stockpile of Table Coral Samples. It saves a bunch of hassle fabricating Computer Chips, which are needed for quite a few things. You can use the Alien Containment Unit (previously known as the Large Aquarium) to hatch eggs, breed fish if you have 2 or more of the same type, and plant underwater plants in the included planter (which you can also do in an Exterior Growbed built underwater). ACUs have a population limit of 10 per unit, and they stack (must first stack MultiPurpose Rooms to hold them). However, anything that hatches from an egg appears to count double toward the 10-creature limit (so it's 5 creatures per tank for Stalkers, Crashfish, Ampeels, Crabsnakes, Gasopods, etc.). All small fish (i.e., edible ones) count as 1 each. The one exception is the Spadefish, which uniquely produce eggs despite being edible/small fish. You can have 10 of those in Alien Containment. Also of note, the smaller Aquarium (despite costing every bit as much as an Alien Containment in glass) will not allow 2 fish of the same type to breed, nor can you put eggs in it to hatch them. Efficiently harvesting Stalker Teeth depends more on a multitude of Stalkers than a multitude of scrap metal, because having multiple Stalkers means they'll keep stealing scrap from each other. Scrap metal also distracts them from attacking, so you can kickstart and follow their theft chain with barely any chance of getting bitten. The first tool you should probably craft is a Scanner. See the [Getting new stuff / wreck diving / game progression] section below. The flare is an excellent little light source, and additionally can distract some predators. What some might not realize, however, is that you can pick it back up after it's lit, and then carry it around like a torch. Putting it away stops the burn timer, so you can keep it as a source of light for quite a while. Also, I'd imagine you could use multiple flares to light an entire area, and you can also distract light-sensitive creatures (read the Scanner entries) with them. Vehicles are built in the Mobile Vehicle Bay. MVBs are deployed to the surface. They can be picked up by climbing on board and looking down at them. One important piece of advice about your tools: Batteries and Powercells can be exchanged before they are empty (some, currently, cannot, like the Mobile Vehicle Bay PowerCell, but this might be in the works). So you just made a repair tool to fix up the lifepod and don't have any immediate use for it? How about exchanging that battery for the nearly depleted one in your scanner? Laser cutter empty mid-job? Well, do you have any other battery-using tools on you that you can switch around? How about swapping in a full battery for the SeaGlide before that deep wreck dive you're about to do? The hotkey for exchanging battery is R (PC) or X (Xbox). The Laser Cutter has a dim light on it, which you can use in a pinch if your other light sources are out of power or depleted. Of course, as mentioned above, you could always just swap out its battery instead. The Pathfinder Tool leaves holographic discs that point back to the previous disc until you read the starting point - this is useful to deploy before exploring a wreck or cave, so you don't drown looking for the exit. Max 20 discs per path. Fun fact: The Pathfinder Tool recipe is a bit odd because the tool used to be a Dive Reel (which used rope). The Air Bladder must be used by right-clicking with it in your hand. It will then drag you to the surface faster, at the cost of 3 oxygen. It can save your life and is more efficient in terms of battery use than using a Seaglide to rush to the surface (use the Seaglide to dive though, to save air). With the Reinforced Dive suit you can shake off shark bites and sometimes larger creatures if you don't panic when you get attacked. You need an ITEM Modification Station to upgrade equipment (to include depth upgrade MK2/MK3 modules for vehicles, called Pressure Compensators). You need the VEHICLE Modification Station to create the original/MK1 upgrade modules. The Vehicle Modification Station can only be built in the Moonpool. For the Seamoth the Perimeter (Electrical) Defense System Module its very useful when travelling amongst aggressive creatures. You can even escape a Reaper's grip this way. (must select it with 1-4, to activate, and click or click and hold for quick burst / charged burst). After the depth compensators, the PDS may well be the most valuable module. You'll need Polyaniline, which requres you to harvest Deep Shrooms to unlock and make a prerequisite ingredient, Hydrochloric Acid. You can build quite a few base pieces (using the Habitat Builder) in the Cyclops. The Silent Running mode on the Cyclops masks your noise to hide you from predators, at the cost of increased power. At this time, (Feb 2018) it still consumes power with the engine off. Be sure to exit Silent Running mode if you're just going to kill the engines anyway (which is a good tactic if you want to wait from predators to go find something else to do, or leave your sub and go exploring). The Cyclops Shield Generator is an excellent upgrade, but comes with high power usage. Only turn them on when necessary. For charging away from bases, there's the Solar Charging module for the Seamoth, the Thermal Charging module for the PRAWN, and another Thermal Charging module for the Cyclops. The one on the Cyclops needs to be acquired from a data box, and the other two are included with the Vehicle Modification Station blueprint. Bases need power to provide O2. Pipes are to take O2 from an O2 source (a powered base with a Base Attached Air Pump or a Surface Air Pump) down to an area you want to explore. Most players just wait until they've made a vehicle. Solar Panels get 200% efficiency if built on land. You can live fine in X-, T, and I- (basic) compartments/corridors for quite a while. Don't panic because you still need to find the bigger Multipurpose Room blueprint. Unless you built your (first) base deep, Solar Panels are easier than your likely second energy source blueprint. Though a bit of advice: if you like the spot for a base, build the pre-Multipurpose Room base a little distance away so you have space later on to design your dream base on your dream spot. You can build a hatch on the bottom of corridors, as well as the sides and top. Keeping the hatch away from the sides (and to a lesser extent, the top) lets you utilize more room inside for storage or later expansion. Wall lockers only require Titanium, but they don't have nearly as much space as the normal standing Locker (which requires Glass and Titanium) does. However, they do mount to walls, and they have built-in labels that you can edit and also change the color of (click the round button to the lower-right of the label). To label the larger standing Locker, you'd need to place a sign using the Habitat Builder. Repair the Radio, and follow any quests you get from there (check the Ping Manger in your PDA to activate / deactivate / change color) -- you'll find blueprints, wrecks, and useful areas in, around, and under (think cave systems) signal locations. Just gotta look around, there's always more to the picture than what meets the eye. Also, messages received through the Radio are triggered by various actions, like fabricating certain items/furniture or visiting certain places. So keep active yourself. Blueprints will unlock as you discover new things by cutting samples, picking them up, or scanning them (see below). The Scanner is actually tri-function (dare I say, a tricorder? haha): The first time it scans an object, it unlocks the Encyclopedia data on it. The subsequent time(s), it scans that individual for any abnormalities (the Scanner will display "Normal" or other). The third function, is the Self-Scan, to scan the player themselves, for any abnormalities. There's a Scanner icon that pops up on the lower-right of your screen if you have a Scanner tool on you and you're in range and pointed at something you haven't scanned yet -- so you don't have to always have your Scanner out to make sure you don't miss scanning anything, instead just keep an eye out for the indicator to pop. Having said the above, scan everything. Wrecks are explorable, you just have to find the entrance. There will be one. Every time. Trust me. Try another door if the one you're looking at is locked. Look for a maintenance hatch, or ventilation duct, or a hole in the side large enough to get into. The larger the wreck, the more likely there are multiple (some of which are hidden) entrances -- that may or may not lead to other rooms. It's worth being thorough, but mind that the deeper you have to go, the better your oxygen prep should be. Large wrecks are among the likeliest causes of drowning, along with large cave systems. The Pathfinder Tool can help you with this. a) Scavenge: once you have a Seamoth / PRAWN suit, you don't have to worry quite so much about air, moreso rations - keep some cured food in the Vehicle Storage or on your person. Prioritize what you need to look for +redundancy for any future ventures. Keep a watchful eye out. PS you can ignore titanium from outcrops if you want, and just collect metal scrap if you need it, also scanning rooms help out tremendously. b) Survey: you're definitely going to need to pack med kits/repair tool, and plenty of rations if you intend to go far from base for an extended periods PDWs and counter measures as necessary. Only collect resources if it is scarce and only native to that region. Pack a few extra batteries/cells (depending on your layout). USE EXTREME CAUTION WHEN ATTEMPTING TO DRIVE A CYCLOPS THROUGH LOST RIVER OR THE LAVA ZONES. c) Salvage: When exploring wrecks for blue prints and etc depending on the structure you may want to bring an extra air tank, if the wreck is more complex, make sure it's an upgraded tank, or maybe bring more (but then there's less space in your inventory). You can also use an air pump or cultivate brain coral in a nearby Exterior Growbed. Only fabricate the extra batteries you absolutely need -- once you explore the Aurora, you're probably going to have more batteries than you'll need for the rest of the game. To fully explore the Aurora, you'll need a Laser Cutter and Repair Tool. A Propulsion Cannon would be handy, but not necessary. Need diamond? Keep following those Radio quests.. Pick up the upgrade modules found in the consoles in the Aurora. Use your repair tool in the Drive Room. You spawn in different locations for every new save you play. So if you notice that the starting area is a bit different, that's because it is! All spawn locations are still in the Safe Shallows, however. There are -- currently -- many battery and power cell exploits, like how certain vehicles and the repair tool will make theirs up out of thin air. Might not seem much since when will you make doubles, but if you're interested in the auto-repair module late game, don't forget to take the repair tools' batteries out before you make it. Similarly, an extra battery can be gained by upgrading a battery-less propulsion cannon. And any battery and power cell you use in a recipe will be automatically recharged. It's easier to find diamonds in the mountains than the grand reef. The sparse reef is a great place to stock up on food before an expedition. A couple of Reaper facts -- the Reaper Leviathan is seemingly based a lot on Oarfish and Sea Angels. Oarfish are the real life equivalent of the Reaper: a *huge*, long fish with a white body and a red mane running down its back that is actually thought to be the inspiration for legends of sea serpents. (They also have a complicated role in Japanese mythology, acting as envoys for a dragon empress in a deep undersea palace -- hmm... ) ||| Oarfish are 100% harmless though despite being distressingly large. They're quite beautiful too. Sadly they tend to beach themselves a lot especially prior to seismic activity. Then again, the Reaper's always had weird pathing issues too. They're also widespread, and can be found in both the Atlantic and Pacific Oceans, but are rarely actually seen. 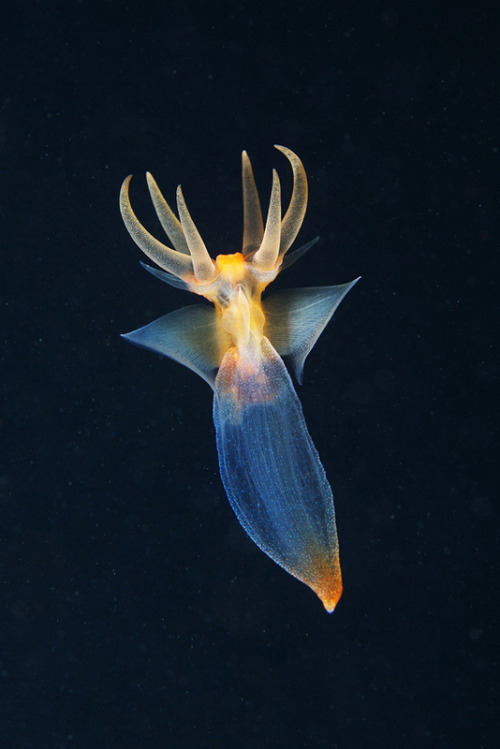 ||| Sea Angels are basically these tiny beautiful sea slugs that swim around in the water, looking almost like little beautiful ghosts. But they're actually floating ambush predators - when they see their prey, those all too familiar mandibles come out of their face and they grab 'em just as the Reaper does. This is for those who like building in the darker places like the Floating Islands, Grand Reef or the Lava Zone and hate the annoying reflections on some of the glass base windows. To turn off the lights, you need to build a corridor walled off with a bulkhead. This will be deliberately flooded, and that will turn off all the base lights - and the bulkhead will prevent any water from getting in the main base. This can be used for extra support as well - there is no reason not to put on supports on all sides since it won't be used for anything but lighting control. To flood the corridor, you can either hit it with the Cyclops (it won't damage the Cyclops), or you can drill it with the Prawn. That will put in holes and flood the corridor, but leave the rest of the base untouched, except for the lights being turned off! If you decide you want them back, it's as simple as going in and fixing the holes. I like making a hatch on the control corridor to the outside, so it's easy to get in without letting water into the main base. It's may be a hack, but it works. Until and if they ever give us light switches, this will do the job and let you see out without the irritating reflections getting in the way. I hope that this helps those who would like a little more control over lighting - and like looking outside! Thanks (so far) to @orobouros , @baronvonsatan , @DrownedOut , @Kyman201 , @kingkuma , @Higuide , @zetachron , @Jacke , @jeod , @Paw , @Midnight_Tea , @Quiet_Blowfish , @ssutcliffe for contributing! Feel free to comment anything you feel should be in the list ▲. I wrote this as I'm always commenting the same thing again and again in new Subnautica YouTube streamer's comments. EDIT: I forgot to mention, if anyone can think of extra tag words that should be listed that a newbie might use when searching, by all means, point it out. Oh, and any re-ordering, feel free to suggest it, but I make no promises other than that I'll look at it (that one's tough to figure out as far as high priority vs related tips vs sequentially ordered tips -- I'm trying to sort of do a combo of all 3, haha, let me know what you think). Also, if you want to quote the whole list, just use the [hidden][/hidden] tags and it will make an expandable text that won't clutter up the feed. I wish someone would of told me to not be so afraid of the Aurora after you get a seamoth, it's worth the trip if you can avoid the reaper. 3a - Live fish don't count as "food" and stay alive indefinitely in storage, despite what you might think. Only cooked food or harvested plants / fruits / vegetables / samples spoil. 21b - Anything that hatches from an egg appears to count double toward the 10-creature limit (so it's 5 creatures per tank for Stalkers, Crashfish, Ampeels, Crabsnakes, Gasopods, etc.). All small fish (i.e., edible ones) count as 1 each. - The Dive Reel is supposed to show you the way you came into a cave so you don't drown looking for the exit. Be warned it isn't finished and sometimes doesn't work all that well. - Fish are "sleepier" at night, and easier (though not too easy) to catch. Unfortunately, Stalkers are more active at night, so don't wander near or into Kelp Forests after sundown. -The Gravsphere is an okay means of catching fish if you're having trouble. The Propulsion Cannon is far better... but most people have a handle on food by the time they have one of those. 7.) Messages through the comm. relay are triggered by various actions, like fabricating certain items/furniture or visiting certain places. So be active yourself. 9.) The larger the wreck, the more likely there are multiple (some of which hidden) entrances -- that may or may not lead to other rooms. It's worth being thorough, but mind that the deeper you have to go, the better your oxygen prep should be. Large wrecks are among the likeliest causes of drowning. 15.) Seedless vines produce more creepvine samples than vines with seeds (7 to 5? ), so if you're going for fiber mesh or food backup, seedless vines are better than ones with. 21b.) The one exception are spadefish, which uniquely produce eggs despite being edible/small fish. You can have 10 of those in an alien containment. 28.) Mesmers never attack without hypnotizing first, so you don't have to watch your back around them. 29.) Don't be afraid to leave your vessel and swim past its depth limits to reach something within sight. 30.) Pipes can get you past depth limitations from the start, so give 'm a try if you want to go deeper. 31.) The gravsphere can help collect drilled loot if the deposit is inconveniently placed. However, the more fish are nearby, the less efficient it is. Really? I wondered why "wild" creepvine gave plenty of samples (10+), but growbed creepvine seemed to vanish after like 3 at best. Fascinating. I didn't even know you could plant the samples until this thread. -press alt+F4 to open multiplayer menu. Lots of awesome tips. Thanks for posting this. When I started, I remember planting creepvine samples and then getting frustrated because I never saw the pods. Also, starting out, I didn't even know you could pick up the Mobile Vehicle Bay because it is so doggone hard to get the message about picking it up--unless, as you say, you look down at it and such. I've never even used the grav sphere becuase I didn't see the point. But I've definitely lost stuff when drilling because the ore deposit was awkwardly placed. Thanks for the cool tip! Here's one that's useful to know. Use your ears. If you have headphones that have stereo, use them to play this game. Each predator makes a different and very distinct sound, and often cry out before attacking. Once you know this, you can get a warning on whether there's a Stalker right behind you. This is not just never funny but also older than dirt. Good job! - Don't bother fabricating extra batteries unless absolutely necessary-- once you explore the Aurora, you're going to have more batteries than you need for the rest of the game. - Make sure you have a [EDIT:] propulsion cannon for the Aurora visit. It's easier to simply dispose of Cave Crawlers than it is to stab them. - Make sure you have a repulsion cannon for the Aurora visit. It's easier to simply dispose of Cave Crawlers than it is to stab them. The same for the battery tips. Awesome tip. I forgot to mention, if anyone can think of extra tag words that should be listed that a newbie might use when searching, by all means, point it out. Oh, and any re-ordering, feel free to suggest it, but I make no promises other than that I'll look at it (that one's tough to figure out as far as high priority vs related tips vs sequentially ordered tips -- I'm trying to sort of do a combo of all 3, haha, let me know what you think). There is no order you have to get the vehicles in. Air is your biggest weak spot. Don't chance it unless you REALLY know what you're doing. Get a stockpile of table coral samples. It saves a bunch of hassle. You might not be able to outfight everything, or outrun everything, but 95% of the time, you can OUTMANEUVER it. Some creatures are attracted to light. Turn off your lights in the blood kelp. Reapers will go to near extreme lengths to get at you. Their aggro range is a lot larger than one might think. If you ram a spadefish with a seamoth, it will hit the seamoth for about 7% of hp. Reginalds are the best fish to eat ingame. The sparse reef is a great place to stock up on food before an expidition. It's OK to use the medkit fabricator. It will save you a lot of deaths, and is worthwhile for new players. Upgrade your knife to a thermoblade as soon as you can. Build your base at an intersection of the 3 starting biomes: Safe Shallows, Kelp Forest, and Grassy Plateaus. The moonpool similarly offers an exploit. Charging a power cell through a vehicle in the moonpool happens instantly (if the energy is available), while such can't be said for the power cell charger. If you're in a hurry, switch around power cells to get insta-recharge. At the chance all the exploits will one day be removed, one important piece of advice remains: batteries and power cells can be exchanged (some, currently, cannot, like the MVB's, but this might be in the works). So you just made a repair tool to fix up the lifepod and don't have any immediate use for it atm? How about exchanging that battery for the nearly depleted one in your scanner? Laser cutter empty mid-job? Then do you have any other battery-using tools on you that you can switch around? You can live fine in compartments for quite a while. Don't panic just because you still need to find rooms. Unless you built your (first) base deep, solar panels are easier than your likely second energy source blueprint. Though a bit of advice: if you like the spot for a base, build the pre-room design a little away so you have space later on to design your dream base on your dream spot. If you're anywhere near a solid surface (and if you aren't, you should be), don't bother aiming the stasis rifle at your target. Shoot the surface, swim into the shell, and let the target come to you. Much easier, though don't skip on practice in safe waters first. For the most part, you need to be in a gasopod's line of view for it to release gas pods. Use this to avoid an attack or to harvest if you so please. Stalkers will steal your camera drones, even from their sockets. There's nothing you can do about that right now except taking them out first. Every other creature will leave them alone, though, so you can make nifty pictures with them. Wow. Almost 70 tips already... I really gotta try to figure out an organization scheme for this. Good catch! I definitely meant propulsion, so I edited the post. I dunno, I think just the fact that it's so old makes it endlessly funnier when people fall for it. - Dealing with Mesmers: Although you can't turn away from them once hypnotized, you can still act. A propulsion cannon will break their hold over you quite easily. A knife is riskier but you can avoid taking damage by stabbing at the right moment. What about the Degassi Survivor PDA's being wrong? Following Paul Torgal's Log #2, Dilemma will send you straight into a Reaper Leviathan's mouth. primary cause of death stretching your self out too thin (more so than trying to rule the ocean w/ a knife) plan accordingly: scavenging, survey, salvage. scavenge: provided you have a seamoth /prawn suit, carry only a couple tanks of air, maybe rations. but prioritize what need to look for +redundancy for any future ventures. keep an eye out. PS ignore titanium from outcrops, just collect metal scrap if you need it, scanning rooms help out tremendously. survey: definitely going to need to pack med kits/repair tool, plenty of rations if you intend to go far from base for an extended periods PDWs and counter measurse as necessary. only collect resources if it is scarce and only native to that region. few extra batteries/cells (pending on your layout). STOP TRYING TO DRIVE A CYCLOPS THROUGH LOST RIVER OR THE LAVA ZONES SERIOUSLY even i don't do that even in my tragically crappy build of the game which is still indestructible... i already tried sinking it in the void. Salvage: exploring wreckages for blue prints and etc depending on the structure may want to bring more air tanks, more complex it is the more you bring. i never experimented this can use air pump or cultivating brain coral. What was the contents of that PDA? I can't remember. It's the one that tells of the second base's location, describing it as "500m below sea level" and "a kilometer to the east". Which, if the latter's taken literally, will land you in the Crash Zone. My guess? Typo. If you go 1 km to the WEST, you hit the base. As the other base hints are correct, I assume this is a typo. @Hugh , can you confirm this? Ah, sort of like the intial warning to give the Aurora a "10 km safety range", when it should be (and the voice says) 1 km? Alright, I updated the list with categories. Thoughts / input / cookies welcome. Going to the rear of the Aurora is completely safe from Leviathans, as long as you stay at the surface and close to the hull of the crashed ship. The smaller predators may attack, but if you keep moving they aren't usually a problem. Of course you do need the Radiation Suit until fixing the leaking power dirve. I don't know about that. I was just going over the ridge into that area in my Seamoth when I got attacked by a Reaper. No Hull Reinforcement (has 4 Storage Upgrades) and it barely survived. 'Course I was farther away from the Aurora. If you approach the Aurora on the port rear and then keep close as you go around the stern, you may avoid the beastie. I think they like the taste of Seamoth better than the taste of the player. In all reality, though, a Seamoth would be a much more noticeable entity due to its noise and light (if you have the lights on).